Our 3rd Annual Pancake Breakfast hosted with the Lake Beulah Yacht C lub and Lake Beulah Protective and Improvement Association. 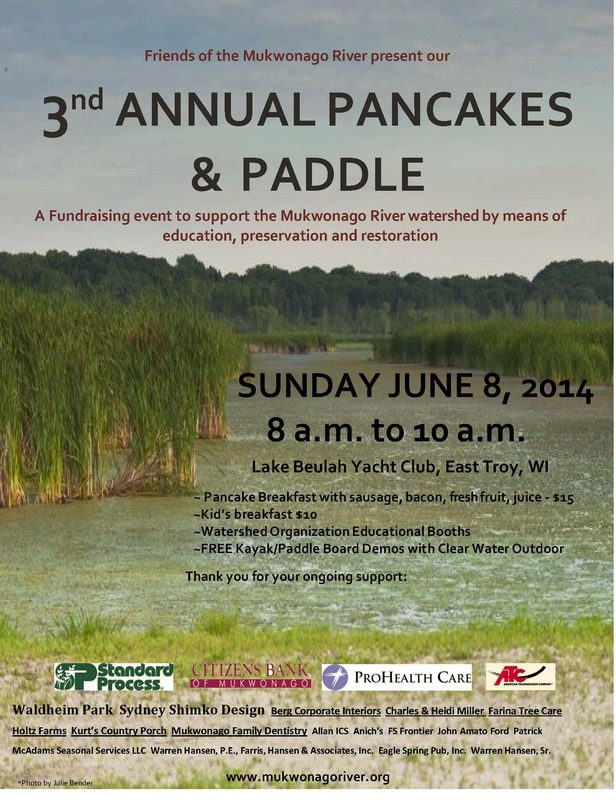 This is a fundraiser for Friends and a means to introduce our organization to the Lake Beulah and Walworth County part of the watershed. Everyone in the watershed is welcome and we hope to meet you all. We will have demo kayaks and paddle boards with Clear Water Outdoor. Friends can use volunteer assistance that morning in the kitchen, cutting fruit, setting up, greeting people, and more. If you would like to help, contact us at the website. 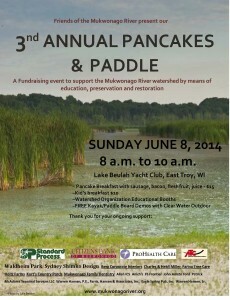 Please come support your river organization and your watershed.